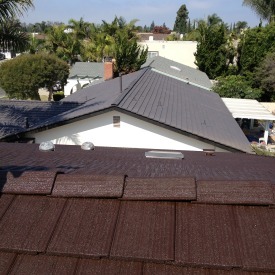 Is it time to start thinking about your roof’s future? 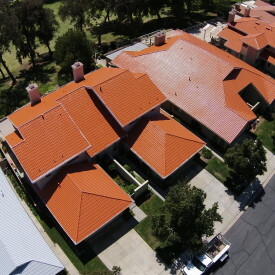 If you’re looking for a “Cool Roof” coating that offers superior protection with outstanding heat reflectance in any just about any ( matte or gloss ) color imaginable with an Outstanding manufacturer warranty, you need not look any further; This is the roof paint that outperforms the rest. 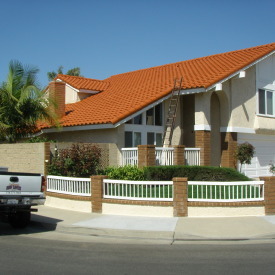 Since 1973 Nutech Paints has been developing it’s Roof Paints to be just that, Roof paints. 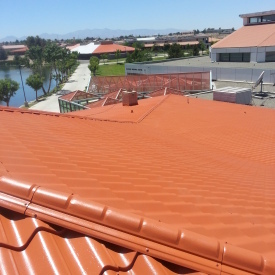 In doing so they have discovered, addressed and solved issues that are relevant to the harsh and changing conditions that a roof surface faces. 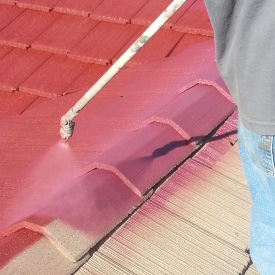 Nutech Paints Acrylic composite roof coatings are time tested and guaranteed to look great and perform for 12 – 20+ years into the future. 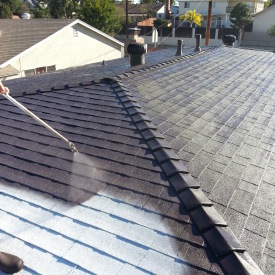 Nutech Paints patented “Nano-Technology’ texture creates a surface that repels dirt, water and hinders the growth of mold and algae in cracks and crevasses. Energy Savings, and indoor comfort you will notice! 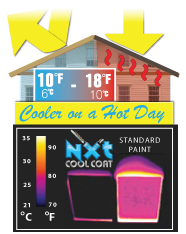 When you turn your home’s roof into a “Cool Roof” coated with with NXT Cool Coat coatings you can expect many benefits. 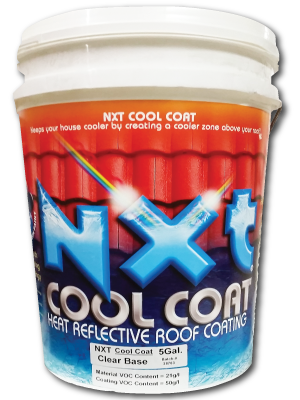 Your NXT Cool Coat Cool roof will reflect light and heat away from your home. 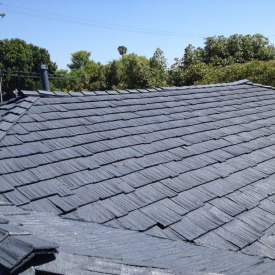 On average your roof’s surface will keep cooler by up to 86° F, meaning the inside of your home will be kept a comfortable 10-18°f cooler than outside temperatures on a hot day (temperatures exceeding 100° F ) . 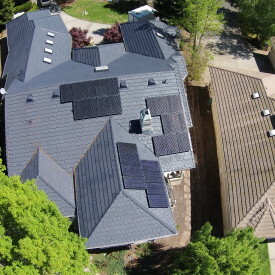 Depending on the color chosen you can expect to see between 30% – 91% TSR (Total Solar Reflectance), numbers far exceeding competitors ratings. Be The Envy of your Neighborhood. 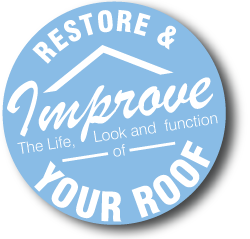 Give your home a “Roof Lift”! 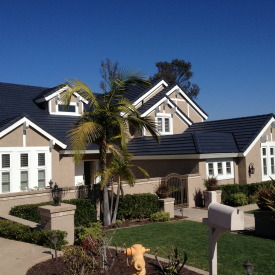 One of the first thing you’ll notice when you see a roof coated with Nutech Paints is its presence; The sharp color, perfectly matched to your home and its surroundings will give any home that “new home” look.